With all of the buzz around obesity prevention in the US, you may have seen this in the news recently: claims that babies starting pureed solid foods (referred to as traditional spoon-feeding) first are more likely to be obese compared to babies whose first tastes of solid foods were finger foods (also known as baby-led weaning). Here are just a few of the headlines you may have encountered: "Babies Fed on Solid Foods Less Likely to be Obese"; "Solid ‘Finger Food’ May Help Babies Avoid Obesity"; and "Giving Babies Finger Food Could Stop Obesity." Today we will take a look at the study behind the headlines and explain why the the results of the study are overblown in the media. 155 parents of children between 20-78 months of age were given a questionnaire asking about their children’s feeding styles, starting solid foods, food preferences and consumption patterns, whether or not the child was considered a “picky eater” and the child’s height and weight. This was a cross-sectional study, meaning that the questions were asked at one point in time, and in this case, the answers to the questionnaires were compared between 2 categories of infants, those who were “spoon fed” vs. “finger fed” their first solid foods (referred to respectively as traditional spoon feeding and baby-led weaning in this study). Specifically, baby-led weaning refers to babies who are fed their first tastes of solid food via finger feeding or self-feeding. 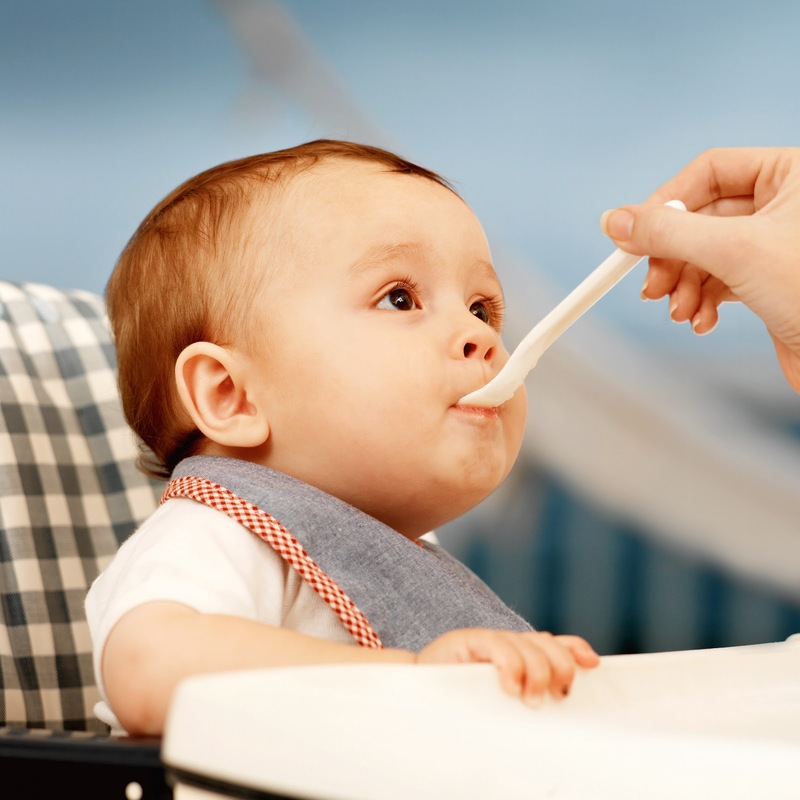 Traditional spoon feeding refers to babies who receive their first solid foods from a spoon (parent-initiated). When these 2 categories were made, 63 children remained in the spoon fed group and 92 in the finger fed group. All of the health information gathered via questionnaire was then compared based on these 2 categories. The researchers were interested in seeing if children who started solid foods via either spoon feeding or finger feeding were more likely to be overweight or picky eaters. There was no significant difference in BMI between babies in the spoon fed vs. finger fed group (10 spoon-fed children were above a healthy weight compared to nine in the finger fed group). There was a difference in the number of babies in the obese category, with 8 babies in the spoon fed group obese and no babies in the baby-led group obese. Three babies in the baby-led group were underweight and no babies in the spoon fed group were. Study Limitations: What does all this mean? While it does make sense that self-feeding, such as finger feeding, might result in better self-regulation of food intake compared to spoon feeding in which the parent is in charge of the feeding, this study was not designed to support this hypothesis. 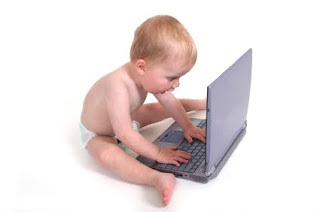 Cross-sectional studies only provide information about a snapshot in time, in this case provided via parental reports of infant feeding and health. Because this is not a randomized controlled trial, we cannot know for sure if finger feeding your baby first, as opposed to spoon feeding, actually leads to healthier weights and food choices. Other limitations of this study include its small sample size and the majority of the sample itself had normal weights and longer than average breastfeeding durations. Babies in the finger-fed group were breastfed on average 23 months, more than double that of the spoon-fed group (9.5 months). The association between breastfeeding and obesity could have impacted the results of this study as well. We would need larger studies with different designs to be able to make a strong statement about which method of feeding baby’s first food results in better health outcomes. Also, knowing that every baby is different and developmentally ready for new food textures at different ages, it’s hard to make one conclusion as to what is best for all babies. So for now, the original guidelines for starting solid foods still apply: for the specifics, read our post Starting Solid Foods: It’s Worth the Wait. You can also take a look at another related news flash we posted entitled: Breastfeeding and Later Solid Food Introduction are Protective against Obesity in Young Children. Townsend E, Pitchford NJ. Baby knows best? The impact of weaning style on food preferences and body mass index in early childhood in a case–controlled sample. BMJ Open 2012;2:e000298. We'd like to take the opportunity to thank everyone who has spread the word about our blog. We have been overwhelmed by the response. Very soon, we will have reached an incredible milestone, half a million hits! It took us more than 2 years to get the first 250,000 (and we were thrilled with that!) but with more than 50,000 views per month, it's taken only about 6 months to reach our new peak! While most of our readers come from the United States, the United Kingdom, or Canada, our "secrets" are shared in about 100 different countries all over the world. If this is your first visit to our blog, we encourage you to review the first few posts and then check out the topics that are of most interest to you by using the keywords on the left side of the page. Again, we want to thank all of our readers who were there at the start or who have joined us along the way. Our best wishes to all of you! On the Road Again: Bringing Baby Behavior to California Hospitals! 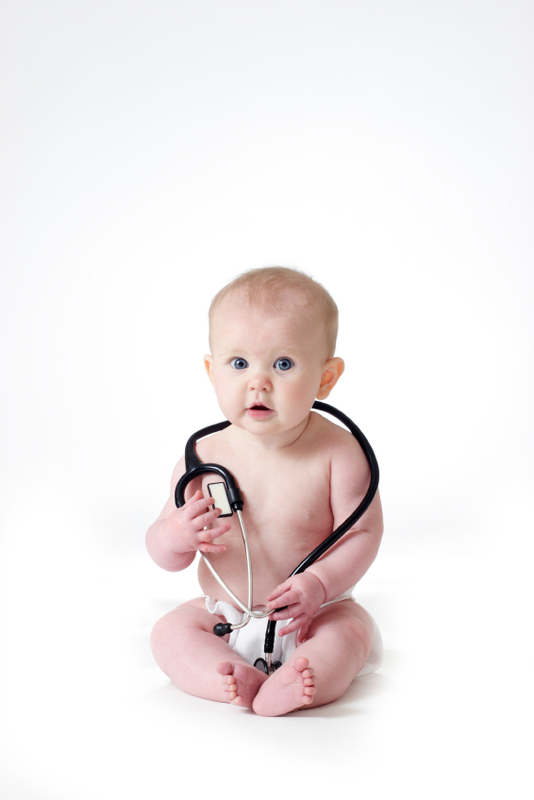 We are on the road again this week, bringing Baby Behavior education to more hospitals in California. We are so excited to share the information with doctors and nurses so that new parents can hear about Baby Behavior in the hospital setting. Have a wonderful weekend! We'll be back next week with two new posts! Love is in the air so we have put together a few posts we thought you might like to read this Valentine ’s Day. Enjoy! Are you trying to find a Valentine’s gift for your baby or child? There is no greater present you can give a child than your undivided caring interest and attention. Read more in our post The Very Best Baby Gift. The love you have for your baby is very powerful! Read more about that special connection in Babies’ Emotional Development and the Power of Synchrony. Are you a new parent that’s transitioning from the honeymoon of “couple hood” to the reality of “parenthood”? The following 2 posts share how this normal process works and what changes you can expect in the relationship with your significant other as your baby becomes part of your family: And Baby Makes Three, How Couples Become Parents Part 1; And Baby Makes Three Part 2- Parents' Early Relationships: Chaos, Retreat, and Reorganization. Welcome to part 3 in our series on pacifiers. In part 1, we shared a study about pacifier use and reasons parents give their babies pacifiers. Then in part 2, we shared what the research has to say about breastfeeding and pacifier use. Now in this post, we will explore the evidence behind the American Academy of Pediatrics (AAP) recommendation to put your baby to sleep with a pacifier in order to decrease risk of Sudden Infant Death Syndrome (SIDS). Consider offering a pacifier at nap time and bedtime—Although the mechanism is yet unclear, studies have reported a protective effect of pacifiers on the incidence of SIDS. The protective effect persists throughout the sleep period, even if the pacifier falls out of the infant's mouth. Two large analyses of the literature evaluating whether or not pacifier use has a protective effect against SIDS were conducted in 2005 and 2006. Each analysis looked at multiple studies and evaluated each study’s quality. Once quality was determined, the consistency of findings across all studies was evaluated. Consistently, pacifier use at bedtime or nap time was associated with a decreased risk for SIDS by as much as 61%. (Mitchell 2006, Hauck 2005) Results of these studies led the AAP to make the current recommendation for parents to offer a pacifier at bedtime and nap time. 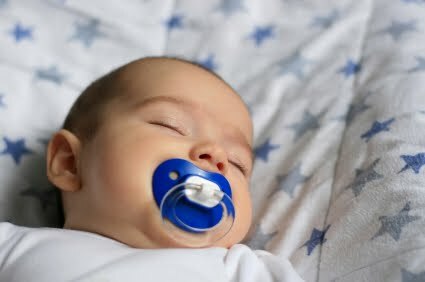 Another study, published after the above analyses were conducted, found a 90% reduction in risk of SIDS among infants using pacifiers at last sleep compared to control. (Willinger 2003) These results further support the AAP recommendations. What about the Breastfed Baby? We have long heard that pacifier use in the first month postpartum can undermine breastfeeding efforts. Therefore, the AAP recommends that breastfeeding mothers wait until breastfeeding is fully established, or about 3-4 weeks, before introducing a pacifier at sleep times. For more detailed information about pacifier use and breastfeeding, click here. What if the pacifier falls out of my baby’s mouth while she is sleeping? There is no need to put the pacifier back in your baby’s mouth. You only have to put it in your baby’s mouth when he or she is falling asleep. What if my baby won’t take a pacifier? Do not force your baby to take a pacifier. You can retry again when the baby is a little older. How does pacifier use during sleep decrease SIDS risk? Several mechanisms have been proposed to explain exactly how pacifiers are protective against SIDS, but none have been confirmed. Some researchers and practitioners think that it is related to increased arousal during sleep or assistance in maintaining an open airway, while others think that pacifier use at sleep onset effects the position that the baby is sleeping in, thus reducing the risk. Do you have any other questions? Let us know and we’ll do our best to find the answer for you. Also, for a full list of recommendations to protect against SIDS, click here. Hauck FR, Omojokun OO, Siadaty MS. Do pacifiers reduce the risk of sudden infant death syndrome? a meta-analysis. Pediatrics. 2005;116:e716-e723. Mitchell EA, Blair PS, L'Hoir MP. 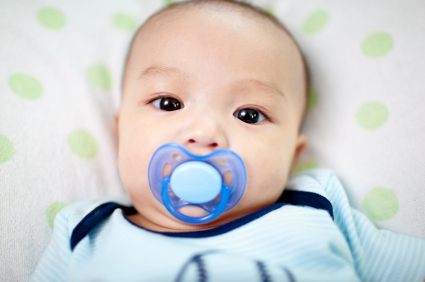 Should pacifiers be recommended to prevent sudden infant death syndrome? Pediatrics. 2006;117:1755-1758. Task Force on Sudden Infant Death Syndrome. The changing concept of sudden infant death syndrome: diagnostic coding shifts, controversies regarding the sleeping environment, and new variables to consider in reducing risk. Pediatrics. 2005;116:1245-1255. Task Force on Sudden Infant Death Syndrome, Moon RY. SIDS and other sleep-related infant deaths: expansion of recommendations for a safe infant sleeping environment. Pediatrics. 2011;128:1030-9. Let’s talk some more about pacifiers! Today we will share evidence-based information about pacifier use and its effects on breastfeeding so that you can make an informed decision about whether or not to offer a pacifier to your infant. Many breastfeeding professionals, however, recommend waiting until at least 4-weeks, or until breastfeeding is well established, before offering a pacifier to young infants. The American Academy of Pediatrics agrees, recommending that parents wait 4-6 weeks, or until breastfeeding is established. Let’s take a look at the evidence. Both of the above studies are classified as observational (meaning the researchers just "observed" what people did on their own). Because of this, we can’t say without a doubt that pacifier use is associated with negative breastfeeding outcomes. When looking at the association between breastfeeding duration and pacifier use, it is unknown whether the pacifier use itself caused the breastfeeding problems leading to shorter breastfeeding or whether breastfeeding problems caused parents to start using pacifiers. However, it is plausible that in the early weeks of breastfeeding, pacifier use may interfere with moms' milk supply, lengthen time between feeds, and make it difficult for parents to see hunger cues. So, should you use a pacifier? That’s up to you. Most people use them but early use is associated with shorter breastfeeding duration. As our readers know, early on, babies will demand to feed many times per day. That demand is important for babies to be able to get enough to eat and for moms to build their milk supply. Waiting to introduce a pacifier seems a good idea and it is not a good idea to use one if you are having problems feeding your baby. Howard CR, Howard FM, Lanphear B, deBlieck EA, Eberly S and Lawrence RA. The Effects of Early Pacifier Use on Breastfeeding Duration. Pediatrics. 1999;103;e33. Mauch CE, Scott JA, Magarey AM, Daniels LA. Predictors of and reasons for pacifier use in first-time mothers: an observational study. BMC Pediatrics. 2012;12:7. O’Connor NR, Tanabe KO, Siadaty MS, Hauck FR. Pacifiers and Breastfeeding: A Systematic Review. Arch Pediatr Adolesc Med. 2009;163:378-382. A recent study conducted in Australia and published in January 2012 (Mauch 2012) explored the most common reasons why mothers use pacifiers. Guess what the reasons were? Many mothers reported that they used pacifiers to control their babies’ behaviors. There were a lot of other interesting findings in this study, so we will report them in 2 parts. 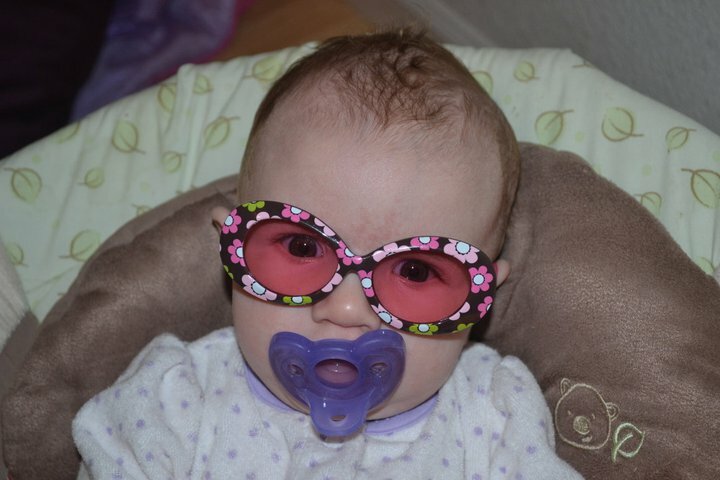 Today’s post will focus on why moms use pacifiers and who advises moms to use them. Next time we’ll talk about how the use of pacifiers might (or might not) affect babies so moms can make informed decisions about when and how to use pacifiers. 670 first-time mothers of healthy, full-term infants in Australia completed a questionnaire about infant feeding and pacifier use. Babies were, on average, about 18 weeks old at the time questionnaires were completed by the mothers. In the Australia study, many mothers, about 60%, received advice about pacifier use. The most common sources of advice were grandmothers or nurse/midwives and friends. Most mothers reported more than one reason for giving a pacifier. Here are the top 5 reasons mothers reported for giving their infants a pacifier. Next time: More about using pacifiers! Nelson EAS, Yu Ly-Mee, Williams S and the International Child Care Practices Study Group Members. International Child Care Practices Study: Breastfeeding and Pacifier Use. J Hum Lact. 2005;21: 289.